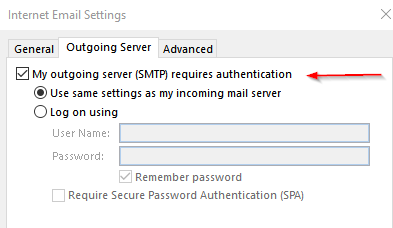 After you've configured your mail client software, you may find you're able to receive email but not send. There a few scenarios which can cause this to happen which we will cover below. This happens for about 80% of the issues we come across. You suddenly find that you can no longer send, even though yesterday it was working fine. This reason for this may be due to your internet connection allocating you a dirty / blacklisted IP. This happens where a customer from the same ISP you use, intentionally/unintentionally sent out a whole bunch of spam and had that IP flagged as a spammer and later disconnected their router, now you've come along and connected to your router and have been assigned that IP address that was used to spam, so you are now flagged and blocked for sending email. 1) Going to an online tool Whats's My IP (www.whatsmyip.com) and taking note of what your IP address is. 2) Using an online blacklist checker like MxToolBox (mxtoolbox.com/blacklists.apx) and running a query to see if you're on any blacklists. In the results it will clearly outline if you're on a blacklist and how many. The main ones you want to avoid is Spamhaus, Barracuda, Spamcop, SORBS. You can resolve this by simply changing your IP address. 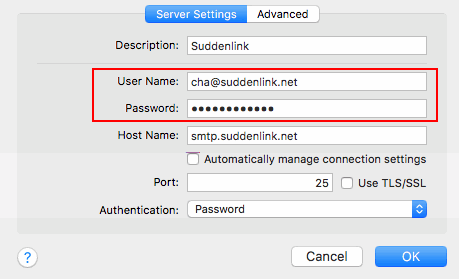 If you're on a residential dynamic connection, it means that your IP will change everytime you reconnect your router. So if you go and turn off your router for 5 minutes and turn it back on you should connect with a new IP. You can then do the following steps above to confirm you have a clean IP. It's not always gauranteed to work resetting your router, so you may need to call your ISP for further assistance. Sometimes your client software will try to set your port as 25 by default. This port can be blocked by your ISP and can't be used, but may work for some network connections, dependant on your ISP.